One of the best aspects of golf is the relationships that are built through the game. 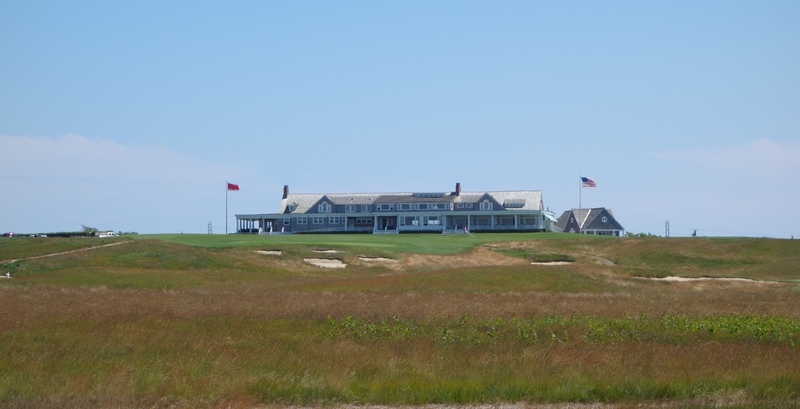 My round at Shinnecock Hills was made possible through a golf buddy, and after four hours on the course, I left Shinnecock with three new friends. 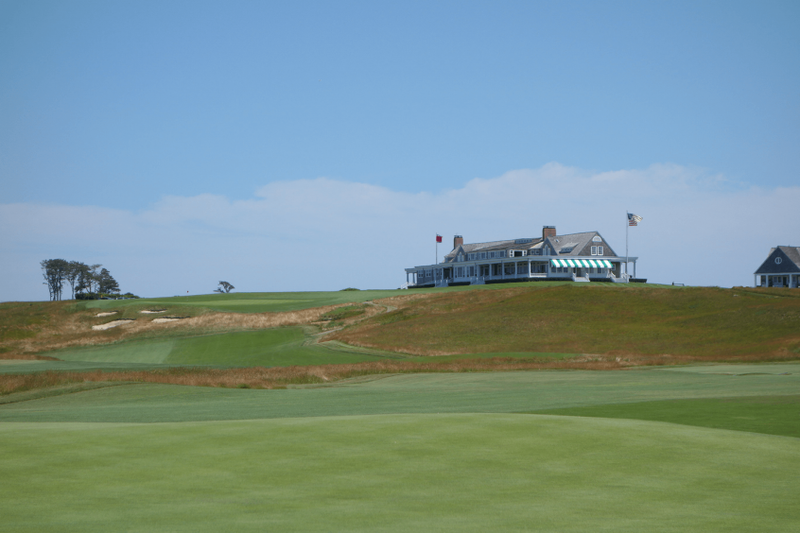 We started the day with lunch on the back porch of the clubhouse, which is undeniably one of the best views in golf. 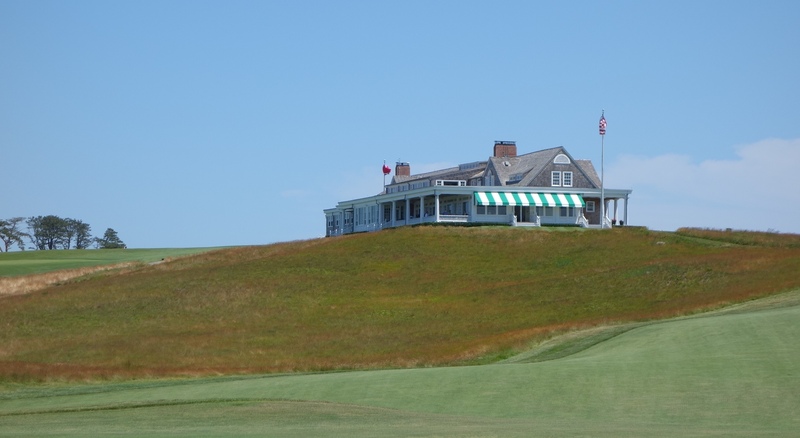 The clubhouse was designed by Stanford White in the early 1890s, and it was the first U.S. structure purpose-built for golf. 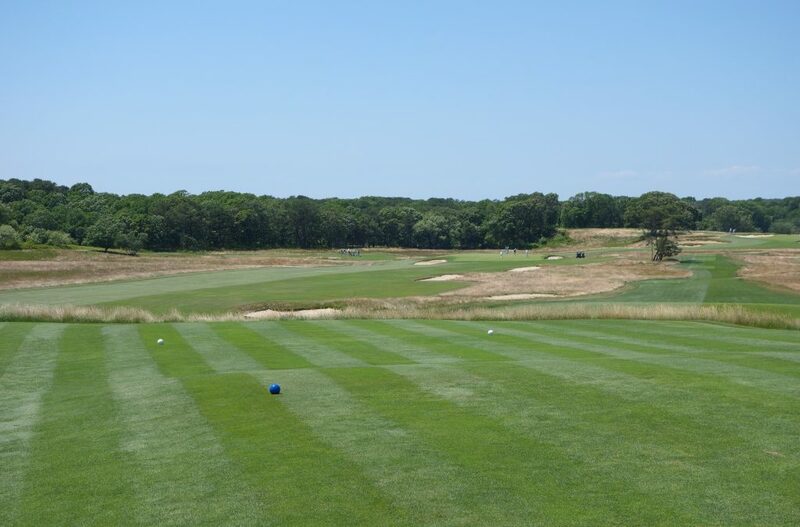 Its 200-degree vista of the course and Peconic Bay is breathtaking. 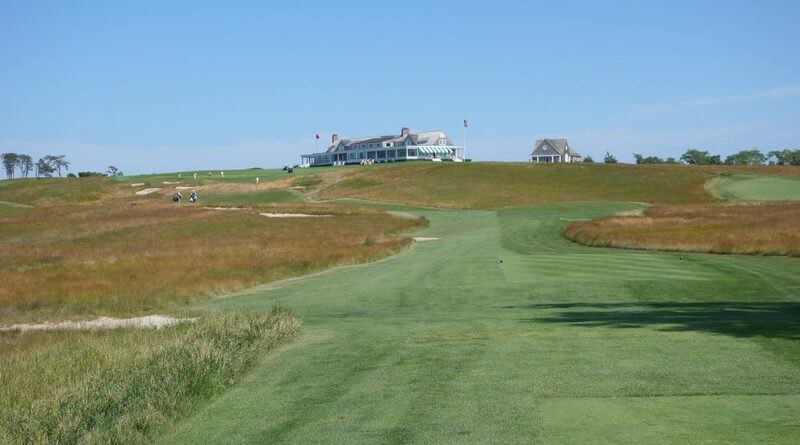 Shinnecock Hills was one of the founding members of the USGA and is the oldest incorporated club in the US. 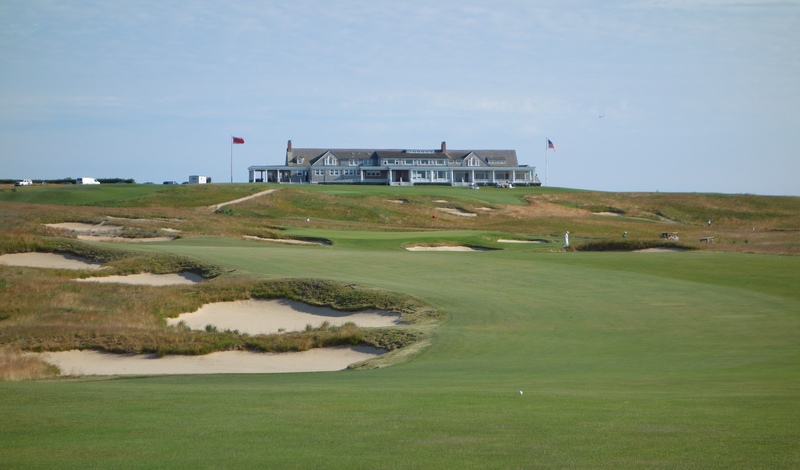 It has hosted a slew of prestigious events and will host the U.S. Open again in 2018. The course was originally a 12-hole layout designed by Willie Davis, but was expanded to 18 holes in 1895. The course was changed a number of times until it settled into its current design, laid out in the early 1930s by William Flynn. 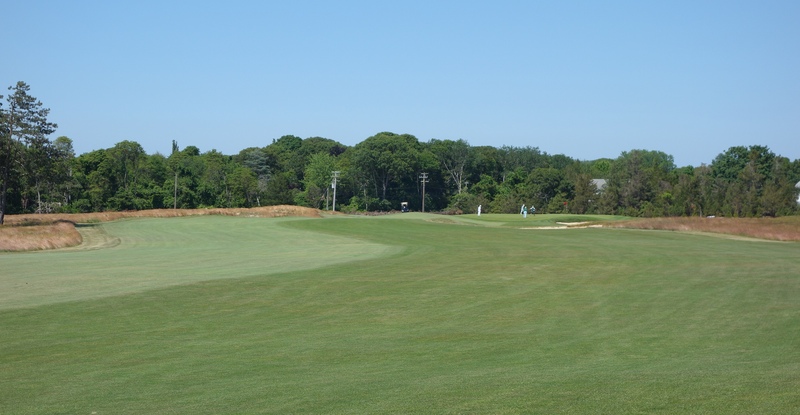 Since that point, thousands of trees have been removed, and design tweaks have been made to ensure the course remains a modern championship test. 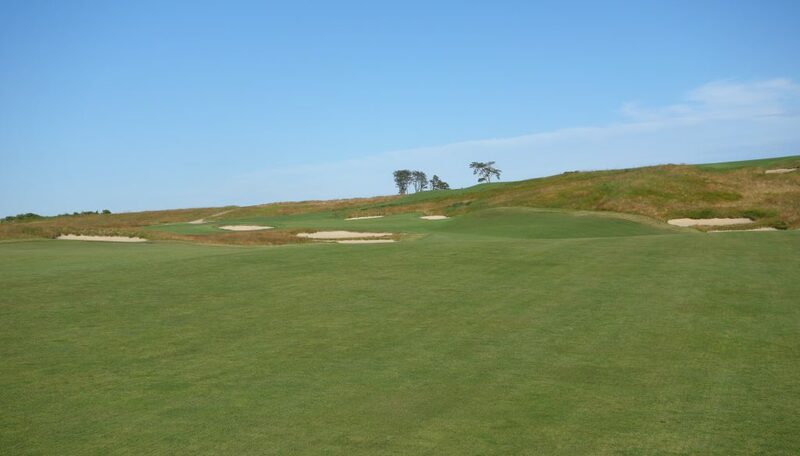 Recent changes to the course have widened fairways and expanded greens (which actually made the effective size of the greens smaller). New rear tees were added for the ever-longer hitting pros, and even more trees were removed. 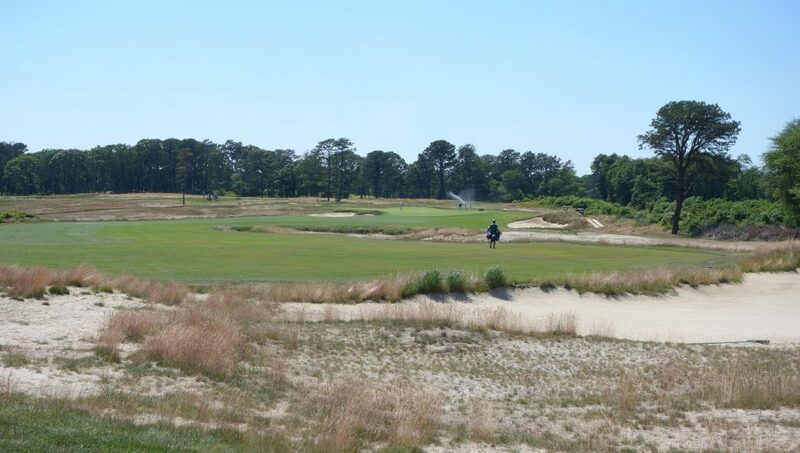 Coore & Crenshaw consulted on many of these recent changes and the course shouldn’t change drastically from these photos in the lead up to the 2018 US Open. Likely due to most opinions of the course coming from US Open coverage (and final round of the 2004 US Open), Shinnecock has a reputation for being a brute of a course. I went into the round expecting an extremely tough test that would err on the side of toughness rather than enjoyment. What I experienced blew that theory out of the water. We played the course around 6,650 yards, which made certain holes difficult, but the overall round very fun and playable. 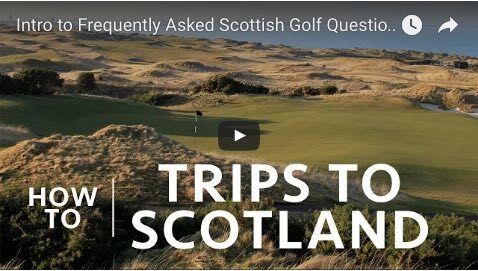 Keep in mind, Shinnecock is a par 70. After a great lunch and warmup on the range, we met our caddies and made our way to the first hole. The course was firm, fast, and the strong breeze ensured we didn’t rest on our laurels. 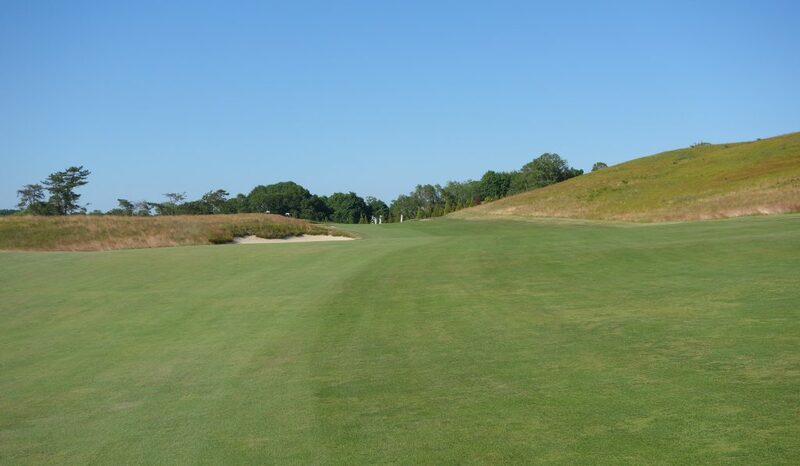 Hole #1 – 381 yards – Keep your drive down the left side of the fairway to open up an angle into the green. 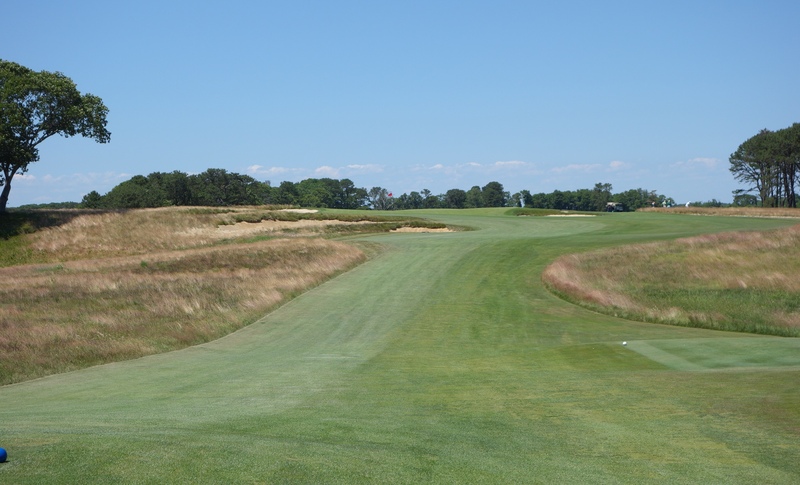 Hole #2 – 199 yards – Anything short will roll back off the sloping front of this green. 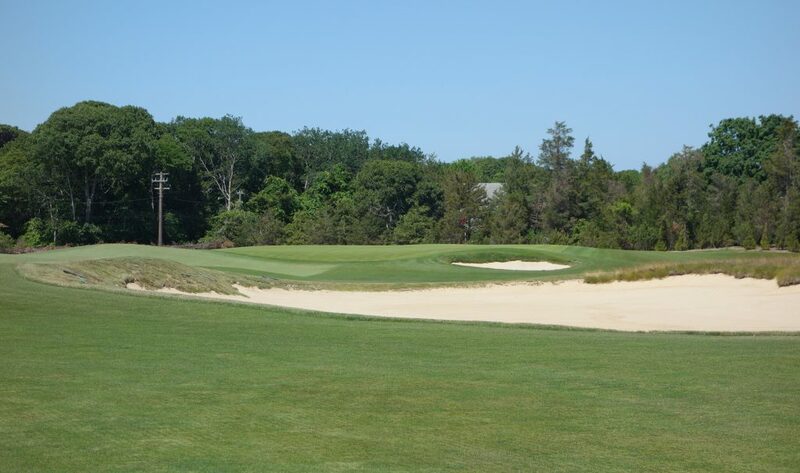 Hole #3 – 440 yards – The bunker below is on the right side of the fairway, which has been widened in recent years. 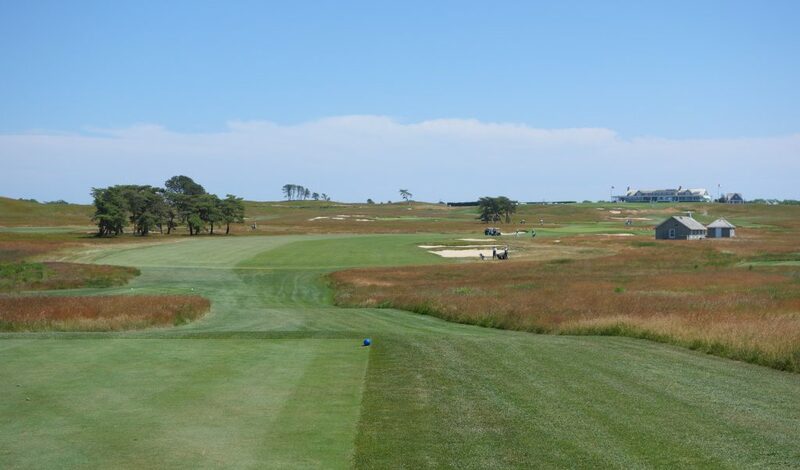 National Golf Links is immediately beyond the trees to the left. Hole #4 – 376 yards – Every time the routing turns back towards the clubhouse, you want to stop and stare at the view for hours. 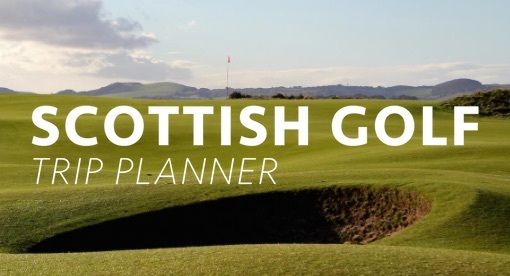 Aim down the left off the tee to avoid the bunkers and achieve the best angle into the green. Hole #5 – 500 yards – The little corner of fairway bunker seen on the right is part of a massive cross bunker that bisects the fairway. 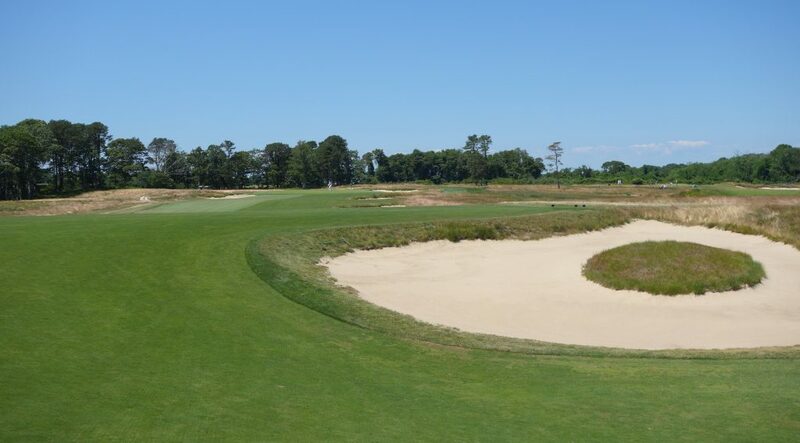 The shortest route over the bunker is down the left and layups should err left as well to avoid the bunker in the second photo below. 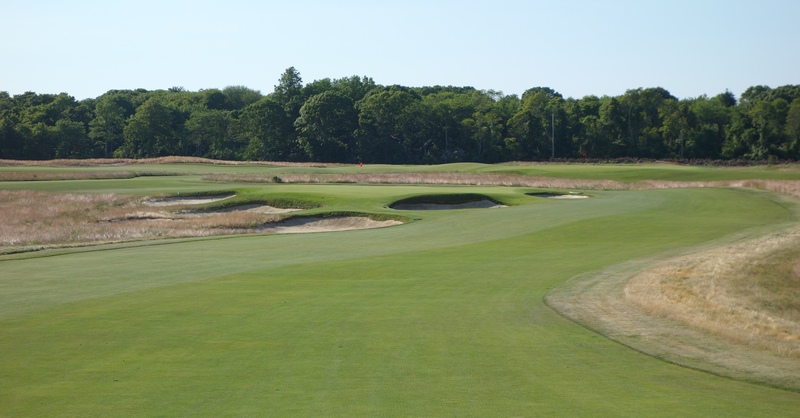 Hole #6 – 421 yards – This hole had the most obvious Coore & Crenshaw influences. 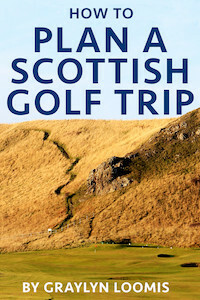 It was redone by the duo in recent years and a series of bunkers down the right hand side were turned into a large waste area. 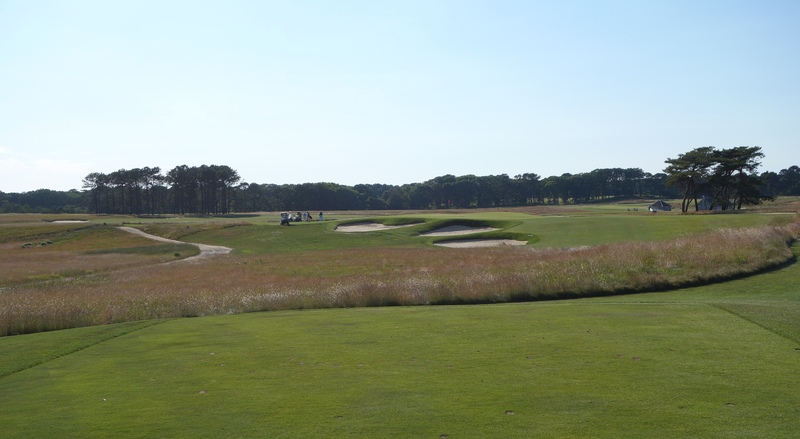 It looks like something out of Pinehurst #2. 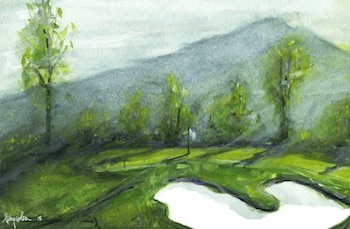 The fairway twists and turns before reaching a lake in front of the green. Hole #7 – 178 yards – This is one of the toughest Redan holes that I’ve played. The second photo doesn’t capture it, but the margin for error on the approach shot is incredibly small. I hit as good a shot as I could into this green and it ran over the back. The next shot was a chip back into the green that runs steeply away from you. 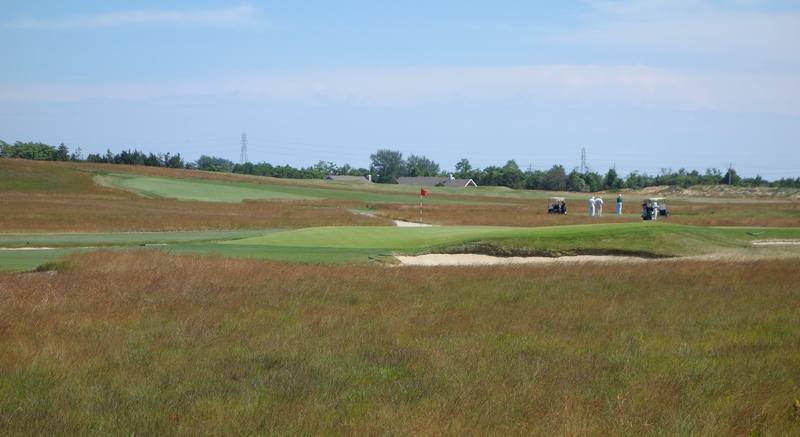 You may also remember this hole from the 2004 US Open, when fast, dry conditions made it nearly impossible. 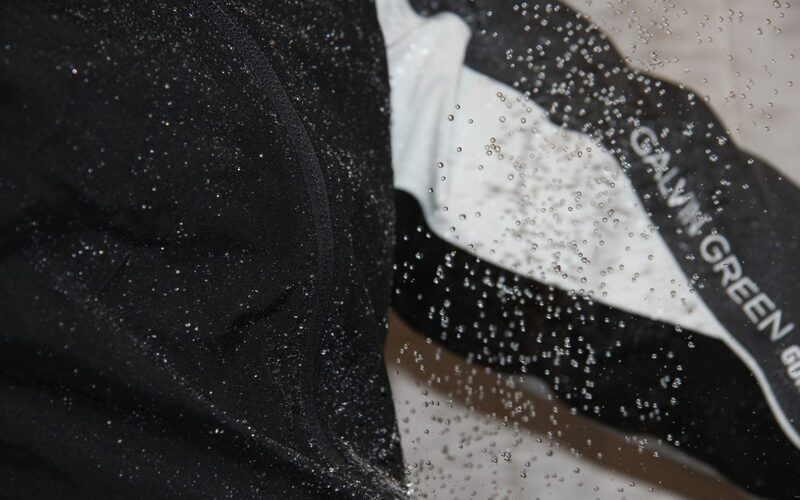 After multiple triple bogeys in the first group, the USGA decided to water it in between groups. 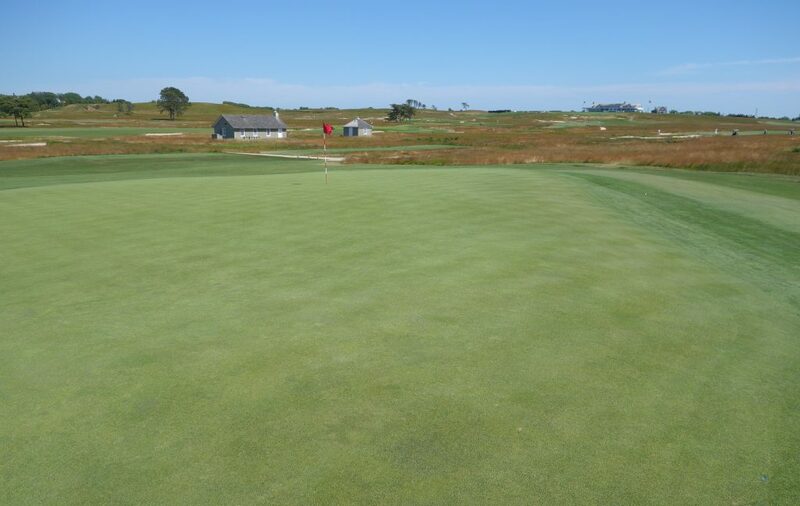 At the end of Sunday, only 17.2% of players had hit this green in regulation. 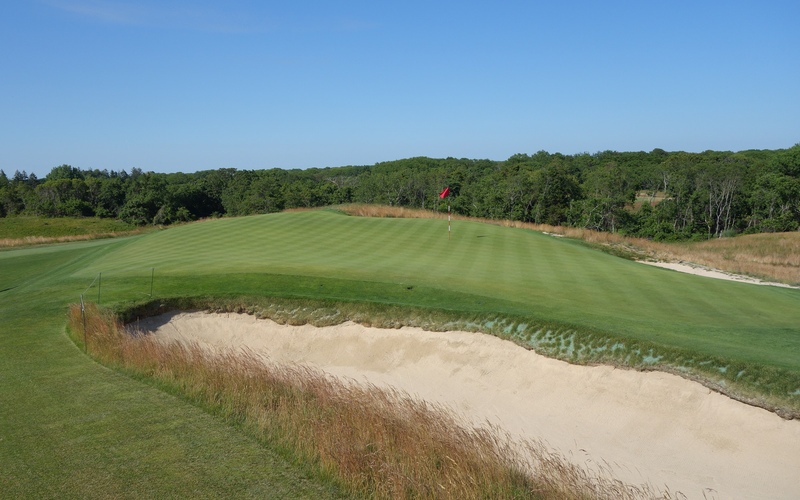 Hole #8 – 354 yards – This raised green slopes off three sides, so it is crucial to hit an accurate approach shot to the center of the green. 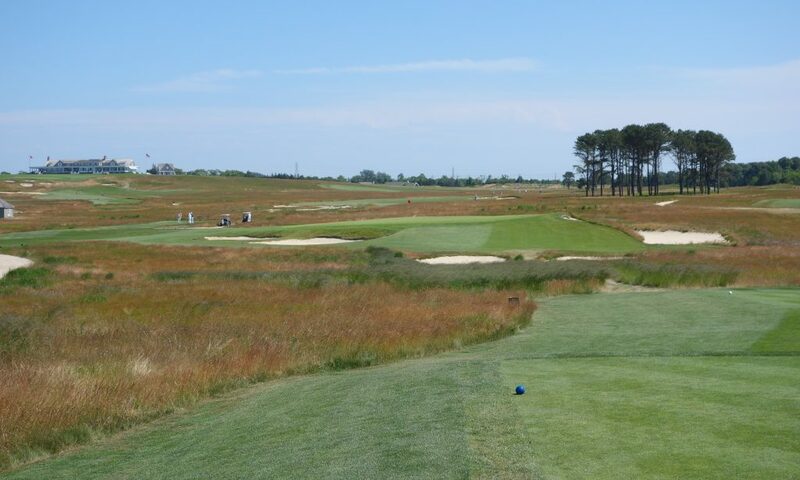 Hole #9 – 405 yards – Prior to the round, I was most looking forward to playing this hole. After all, I watched people play it for an hour during lunch on the porch! The sloping green and a strong headwind meant that nobody had an easy go on this day. 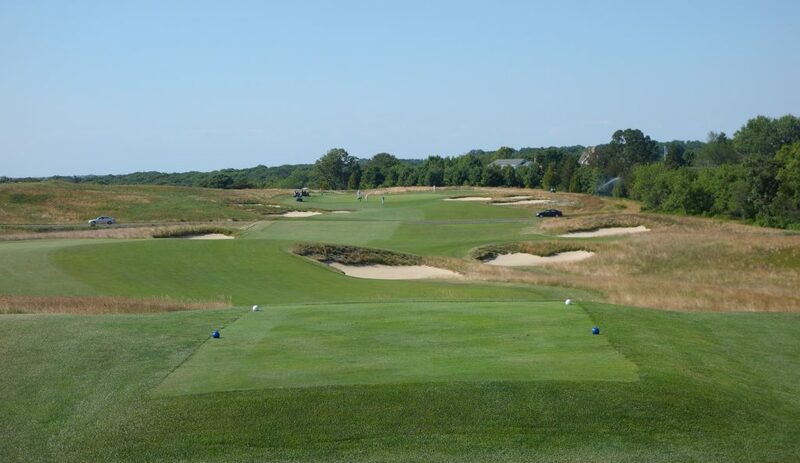 Hole #10 – 406 yards – A 240-yard shot leaves you with this approach to the 10th (pictured below). If you hit it onto the first quarter of this green, the ball will likely roll 50 yards back off the front. I tried to get cute from the right rough playing to a front pin… you can guess where my third shot ended up. 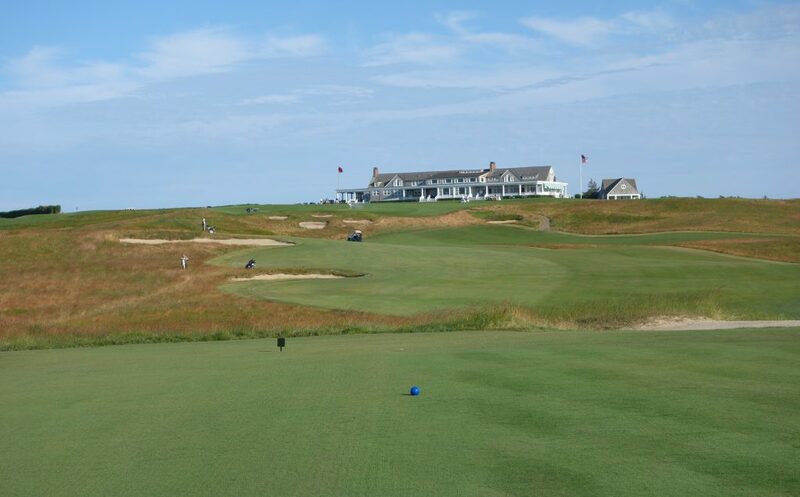 Hole #11 – 150 yards – I have heard the “shortest par 5 in golf” line said about a handful of par 3s before, but this hole is perhaps the most fitting recipient. 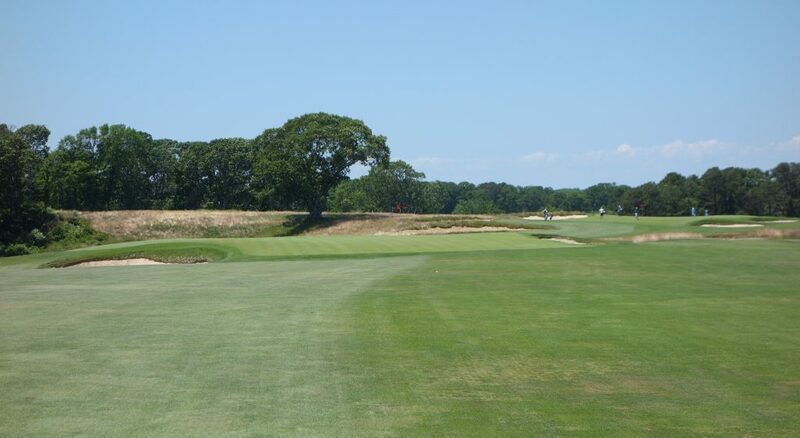 To quote my caddie, “There are a few dinner plate-sized areas that you need to hit on this green in order to hold it.” It is a brilliant short par 3, and one of my favorites that I have ever played. Just look at the green! 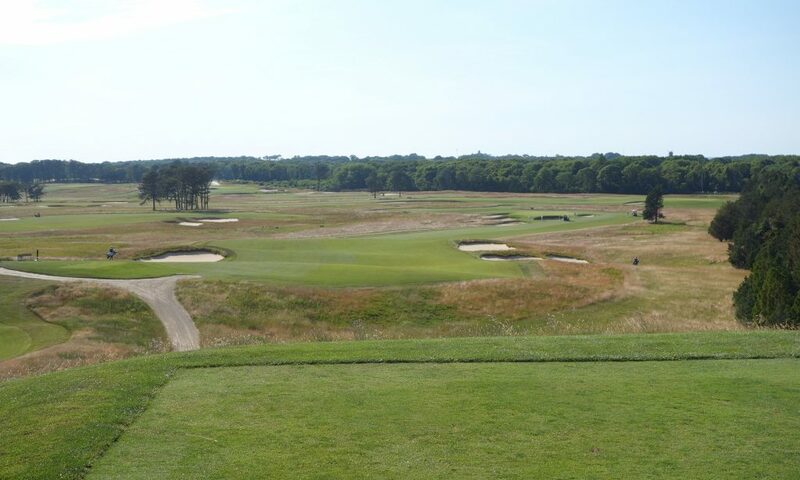 Hole #12 – 427 yards – Once you get over the view, you realize that this hole sets up well for a crushed drive. The green is particularly large, but features tough slopes. The challenge lies on the green. 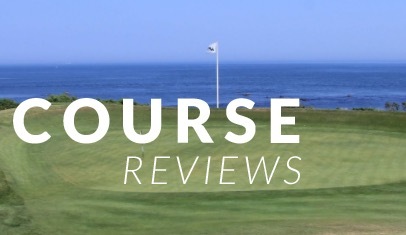 Hole #13 – 360 yards – One of the difficulties in writing these reviews is finding the balance between taking photos, making notes on the holes, and actually enjoying the round. 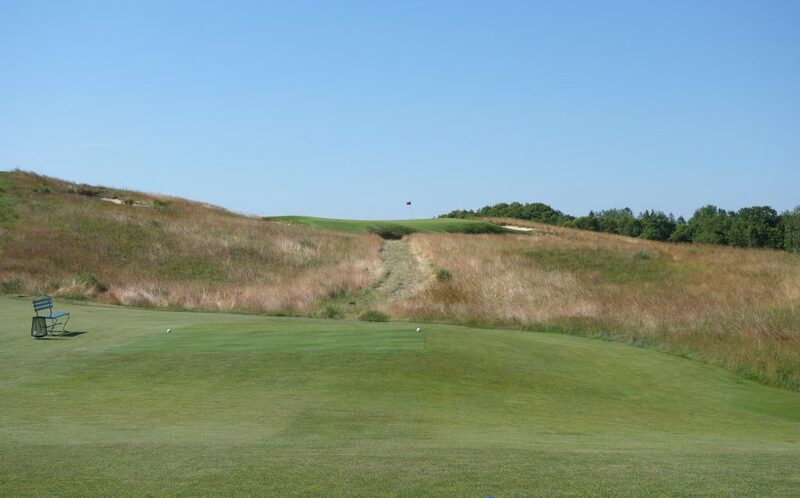 I always try to err on the side of enjoying the round, and forgetting to take a picture on this tee box was a by-product of that… It is a beautiful tee shot, but the approach to this sloping green isn’t too shabby. Hole #14 – 446 yards – This is another hole where I was so focused on hitting a good tee shot that I forgot about the camera. I’m sure you’ll forgive me. 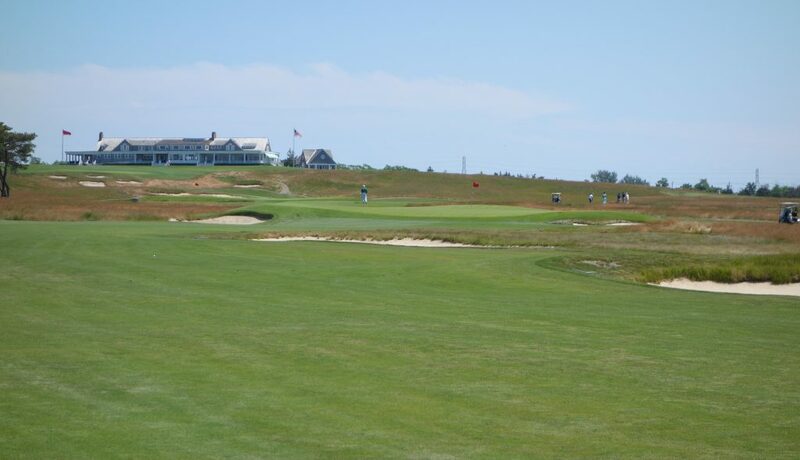 The hole is a dogleg right playing to a low point before turning back up to the green. 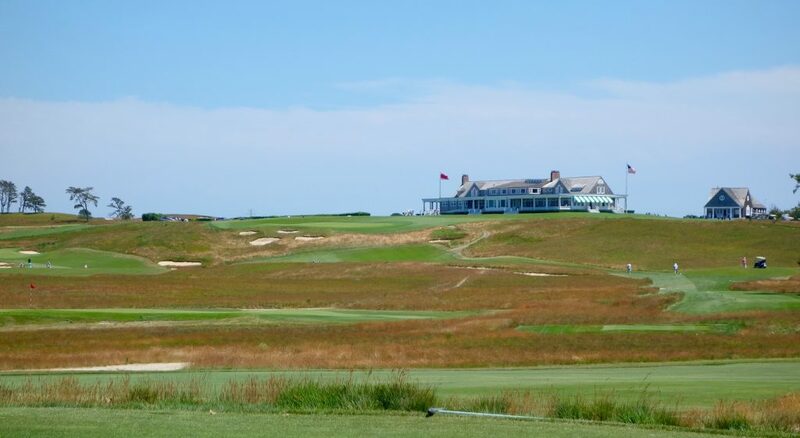 Hole #15 – 400 yards – This is the highest point on the course, and National Golf Links of America is visible on an adjacent hillside (see final photo of the review). 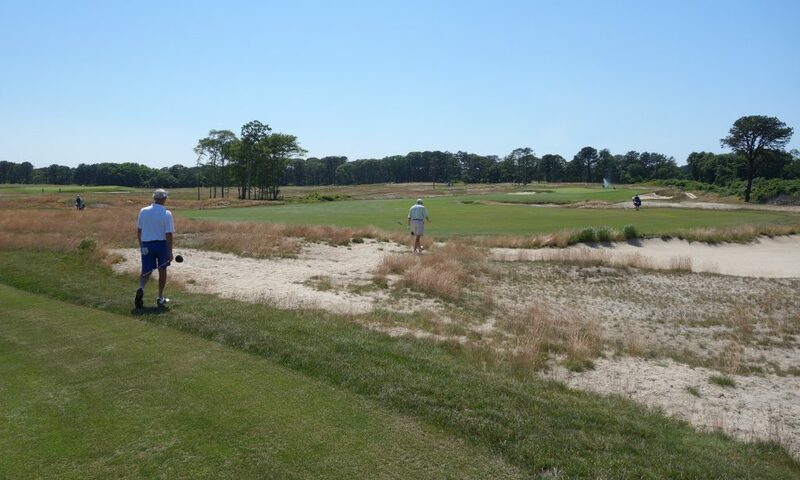 Holding this green is tough, especially with the devious little front bunker guarding run-up shots. 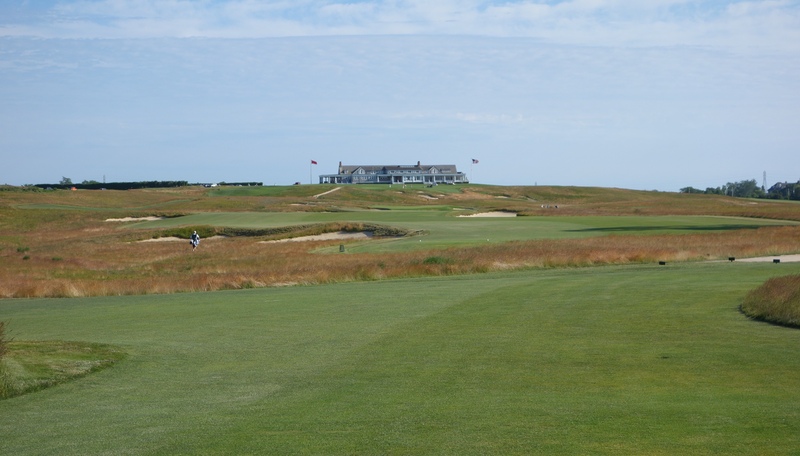 Hole #16 – 512 yards – As I said, every hole back to the clubhouse makes your jaw drop. This raised green slopes off into deep bunkers. 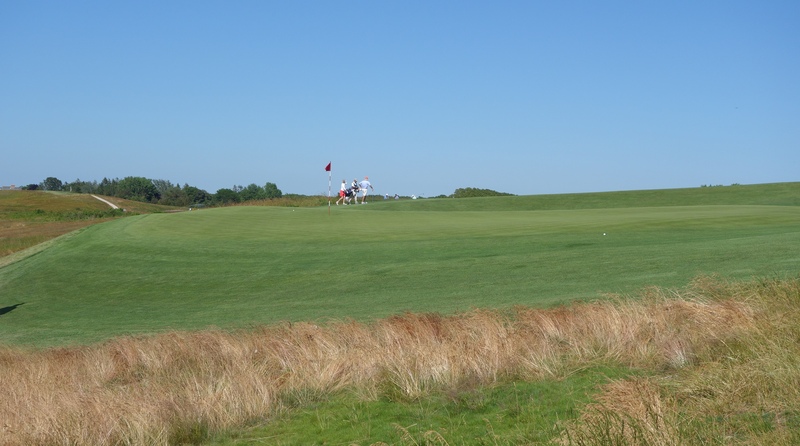 The person who plays it as a 3-shotter and takes their par will likely win the hole. 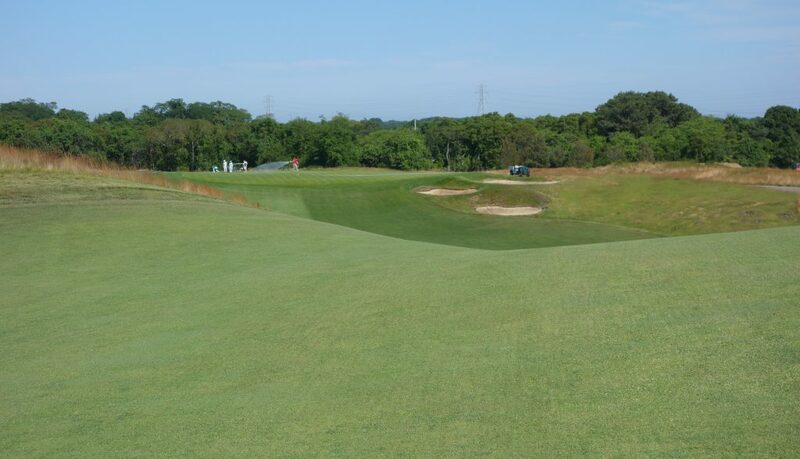 Hole #17 – 167 yards – This green is much deeper than it appears from the tee. It is another approach shot where the target should be center of the green. Hole #18 – 384 yards – Shinnecock Hills doesn’t go out with a whimper. The dogleg left final hole plays into a very sloping green (back to front) that can leave a round in ruins (as it did with me). Stay below the hole! 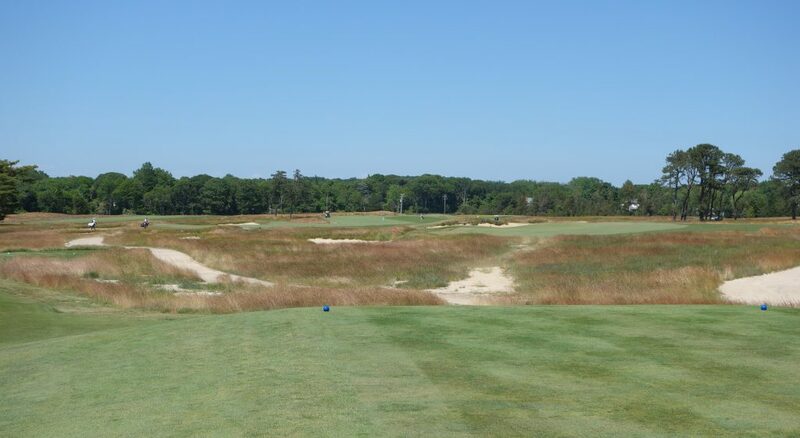 As you can see, Shinnecock is a tough course! However, it is a very enjoyable and fun course. At no point in the round did it seem unfair or even close to unenjoyable. 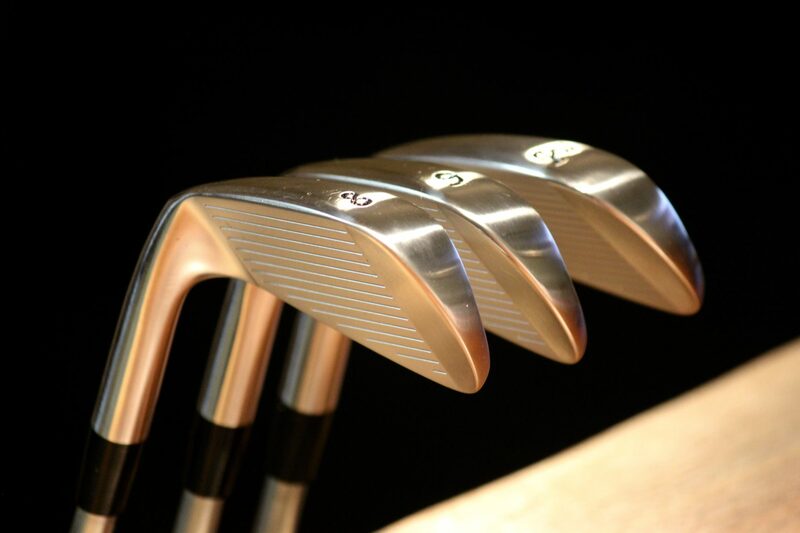 Nearly all of the course is right in front of you, so the mistakes rest solely on you after a misstep. 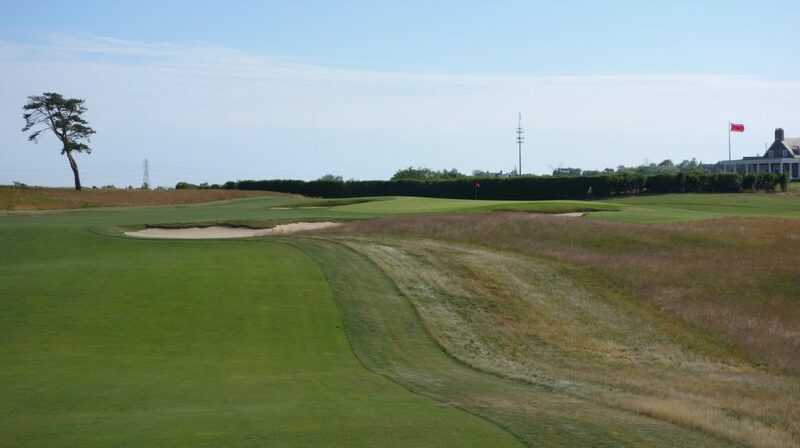 Shinnecock rocketed to the top few on my favorite courses list. 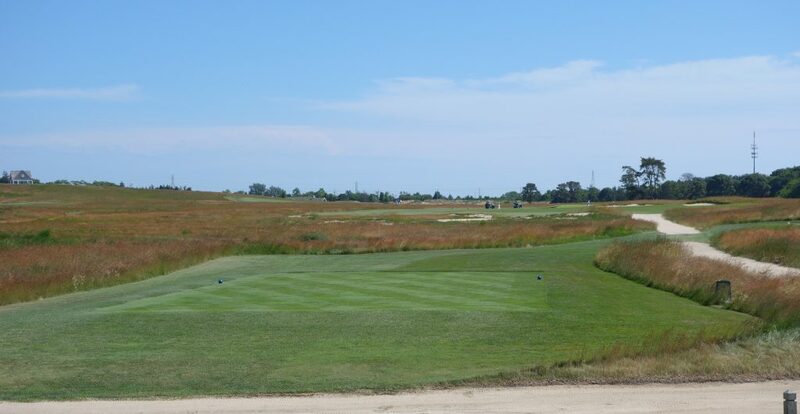 If you take the best elements of the top clubs in the states and combine them, you have Shinnecock Hills Golf Club. I will be lucky if I ever return, and if I do, I will savor every second! 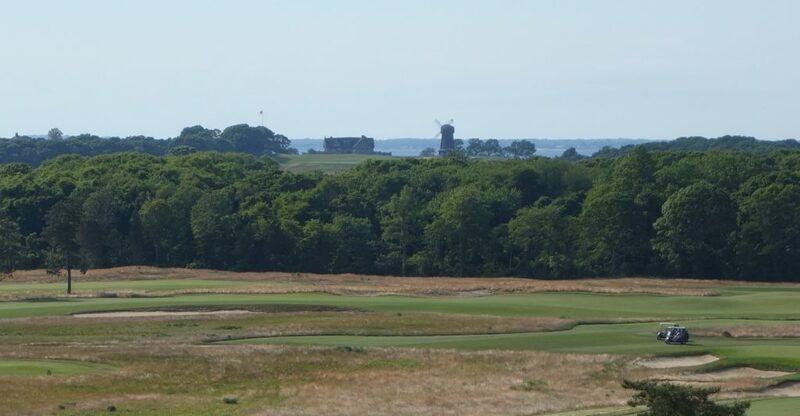 In a fitting preamble for the next day, the National Golf Links of America clubhouse and windmill are visible on an adjacent hillside from the final holes at Shinnecock… Look out for that review in the next few weeks!